Ronovan’s Haiku Challenge prompt words – grief and pine – hit a spot this week. So first, my haiku. At the same time, thinking of Colleen’s Writer’s Quote Wednesday – to be by a poet this week – brought this contribution. 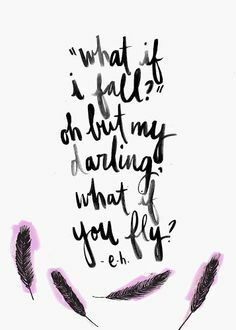 e.h. is Erin Hanson, a talented 20 year-old Australian poet. Her work shows a depth of maturity and a rhythm that appeals to me. 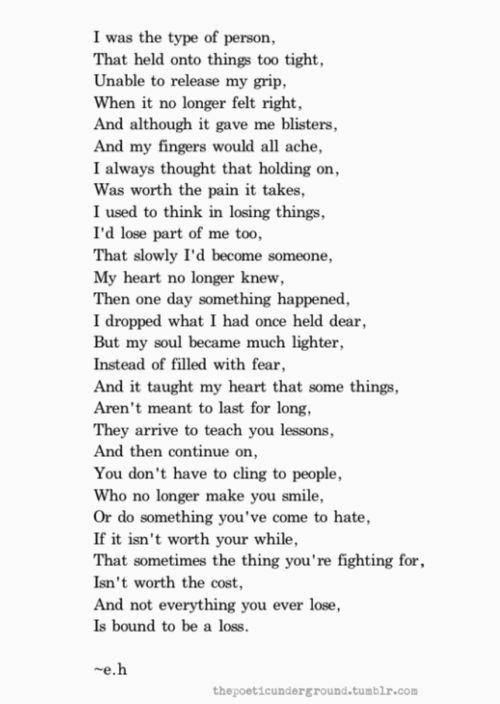 So here is one of her poems. Hope you enjoy! Incredible poem, isn’t it? You can find e.h. on The Poetic Underground on Tumblr, or Pinterest, or Instagram. Check her out! Within every experience of loss, there is a gain. Let this gain be worthy of the beauty that is you. A powerful double post–two meaningful poems. 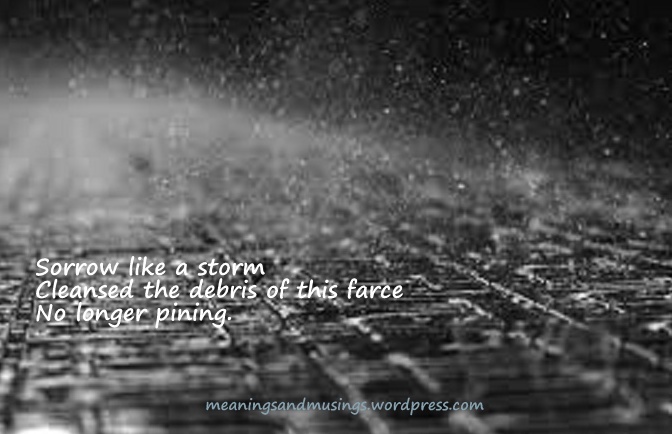 ‘sorrow like a storm’ – brilliant – the strength of this haiku is so great – empowering. I agree with Elusive Trope. When it’s time to stop playing blind and seeing what isn’t there and what is almost gone, it is time to let go from all sides. It may be painful but if it is gone already, the mourning may be less lingering when it is over completely. Leaving isn’t always the wrong thing to do. Or ending a relationship that holds no meaning. What is the point? Wonderful haiku. “debris of this farce” is so poignant, including the way it softly flows into the punch with “farce.” This is even more so given the subject, the inability to see the trees for the forest in a dysfunction relationship. Just as poignant is the expression captured so well that sometimes it is those emotions we try to repress or push away which will allow us to see what we caught in for what it is. Also thanks for heads up on Erin Hanson.